New research has found that cryptocurrency prices are not influenced by any economic factors and instead are driven purely by the mood swings of investors. The stunning rise in the price of Bitcoin, hitting $17,500 last December as it increased by more than 500% in 2017, has seen investors flood to cryptocurrencies, with futures markets even being set up by exchanges. But new research studying the weekly trading patterns of 14 of the largest cryptocurrencies, including Bitcoin, from April 2016 to September 2017 found no correlation with any economic indicators that investors would base decisions on, or with commodities. Instead, in a working paper entitled Cryptocurrencies as an Asset Class: An Empirical Assessment, Daniele Bianchi of Warwick Business School concluded that pricing is entirely influenced by past returns and the hype and emotion of investors as they watch the price climb or drop. “There is research showing limited similarities between Bitcoin and gold, but looking across the 14 biggest cryptocurrencies, the high volatility of their price means that they can hardly be seen as a reliable savings instrument in the short term, let alone the long or medium term,” said Dr Bianchi. “These are not like normal currencies where a country’s economy will influence the price. Instead they share similarities to investing in an equity from a high-tech firm. 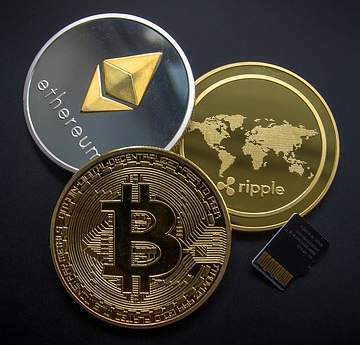 As a matter of fact, most of these cryptocurrencies come to existence through unregulated crowd sales similar to IPOs, the so-called Initial Coin Offering. Despite the vast number of cryptocurrencies being produced, Bianchi found that transactions in Bitcoin made up more than 80 per cent of the overall traded volume before early 2017, then declined to about 40 per cent towards the end of the sample period in September 2017. Indeed by September 2017, the market capitalisation of Bitcoin and Ethereum alone was about $65bn and $28bn respectively. That is the size of a large-cap stock in the US, yet the end-of-sample median market capitalisation across the 14 cryptocurrencies, which made up 85 per cent of the total market capitalisation of cryptos, was about $850m, which is more the size of a small-cap stock. It also found that up to early 2017, almost all of the trading in Bitcoin was done in Chinese Yuan before the Chinese Government embarked on shutting down the exchange platforms (see chart below). Dr Bianchi added: “Although the market for cryptocurrencies is growing massively, it is still largely dominated by a few players. “Cryptocurrencies have more in common with an equity investment in a company than an investment in a traditional currency. For instance, holding Bitcoin can be ultimately seen as an investment in the blockchain technology rather than a simple speculation. 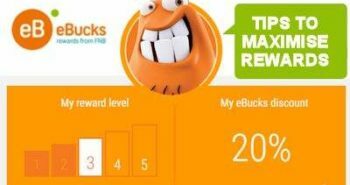 Previous postCan you get to eBucks Level 5 without debt? Next postIs free retirement counselling really free?